I put in my first Sephora order for this year to get my birthday freebie. Every time I go into the stores, they seem to have an issue with getting my points issued and I have to call them in. So I avoided that extra step and ordered online. 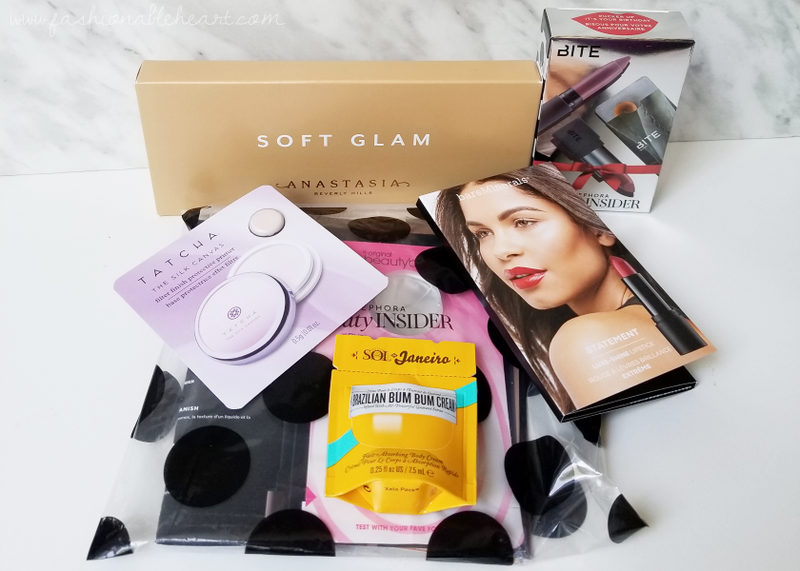 Plus, getting 8% cash back on eBates (my link is on my sidebar, if you're interested) and a limited sample bag of foundations were some added benefits. I don't think I've bought anything from Sephora this year unless something has escaped my mind, as these days I typically wait until my birthday, Black Friday, Christmas, Boxing Day, and the $15 off coupons. It's actually a pretty decent system with there being a few months between Christmas and my birthday to actually use and enjoy what I pick out. That ain't to say I'm not always lurking the app and adding to my wishlist novel. ;) It also gives those things time to sit on that list and let me decide if I actually truly want it or would use it. 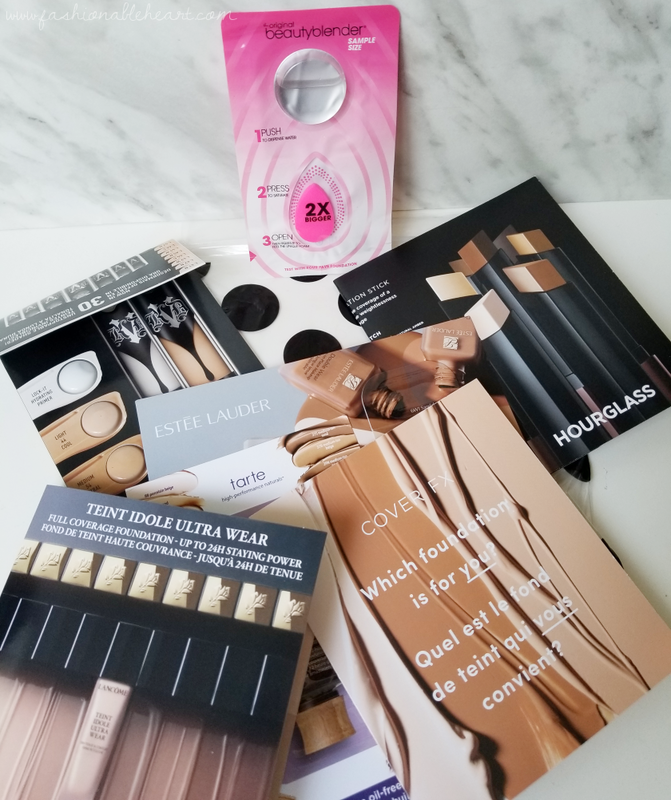 This haul might be slightly boring as it involves the birthday freebie, samples galore, and one item that fit the above criteria. This item sat on my list for months. I drooled over pictures on Instagram. I obsessed over makeup tutorials using it on YouTube. The want just kept growing and now it's mine! This post is just the haul. I will have swatches and reviews coming! And while we're at it, what's something that's on your Sephora wishlist that you can't wait to get? I want to know! 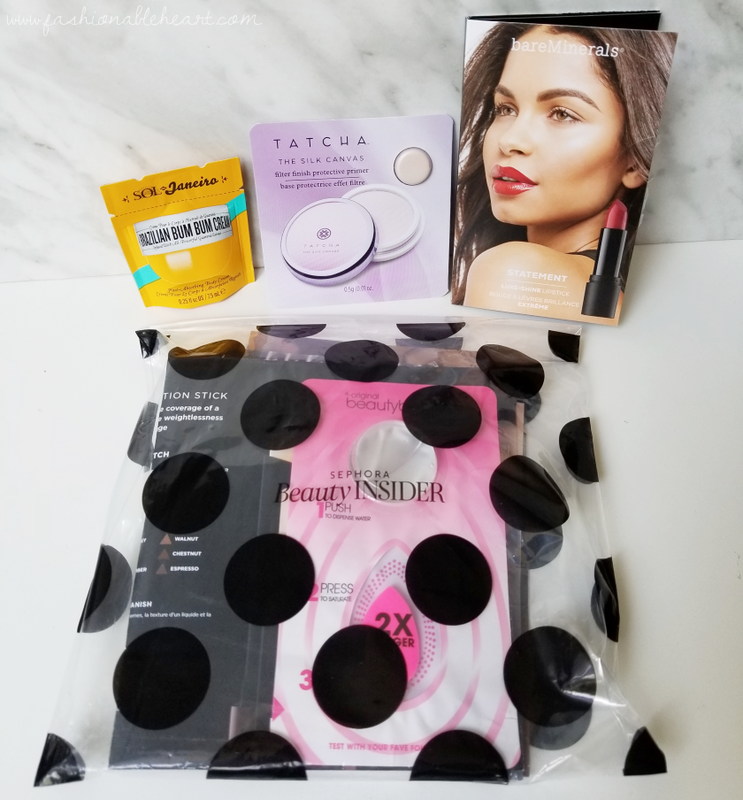 The three samples I chose are the Sol de Janeiro Brazilian Bum Bum Cream, bareMinerals Luxe-Shine Lipsticks, and Tatcha The Silk Canvas primer. I was excited they had the Bum Bum Cream, because I really wanted to smell it and sample it first. I keep hearing mixed reviews on the scent. 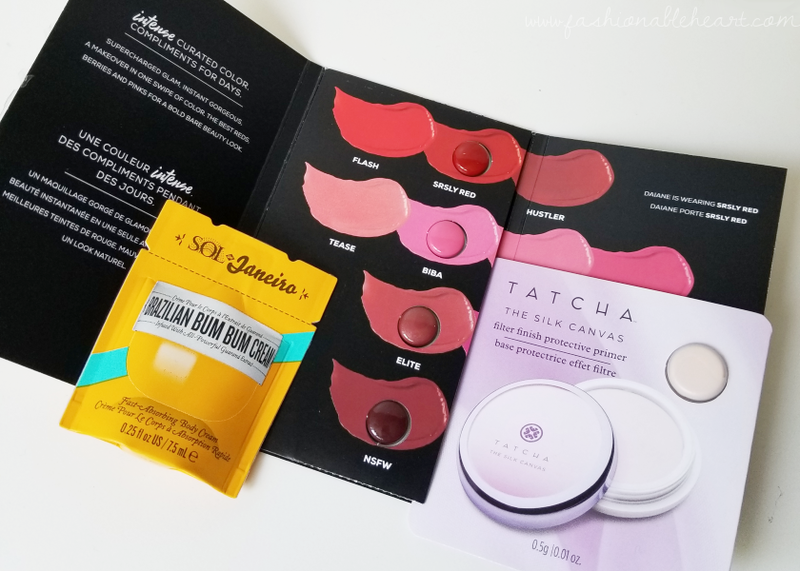 And the Tatcha Silk Canvas formula intrigues me, so I was happy that was offered as well. For a limited time, Sephora has a code for a bag of foundation samples with a mini sample beautyblender. Last I checked, the code FOUNDIT is still active if you're interested in this grab bag. It's adorable. The beautyblender package is sealed with its own well of water to test the sponge. I already know beautyblenders well, but I actually think this size will be quite useful with blending smaller areas. With the foundation samples, I thought I might try to provide swatches of them on here. With samples, it's hard to get a true feeling of how successful the foundation truly is. But I could provide swatches of the colors provided to at least give a little insight into the undertones and range. Foundations included are: Kat Von D Lock-It, Hourglass Vanish Seamless Finish, Estee Lauder Double Wear, Tarte Amazonian Clay 12 Hour, Lancome Teint Idole Ultra Wear, and Cover FX Power Play. And then, the true beauties of the order! I bit the bullet and got the Soft Glam palette by Anastasia Beverly Hills. It's my first ABH palette and truly the one that suits my taste the most. The other palettes are gorgeous, it's just a matter of what I could see myself using often. My thoughts and swatches are coming! If you have this palette, let me know some of your favorite shade combos! 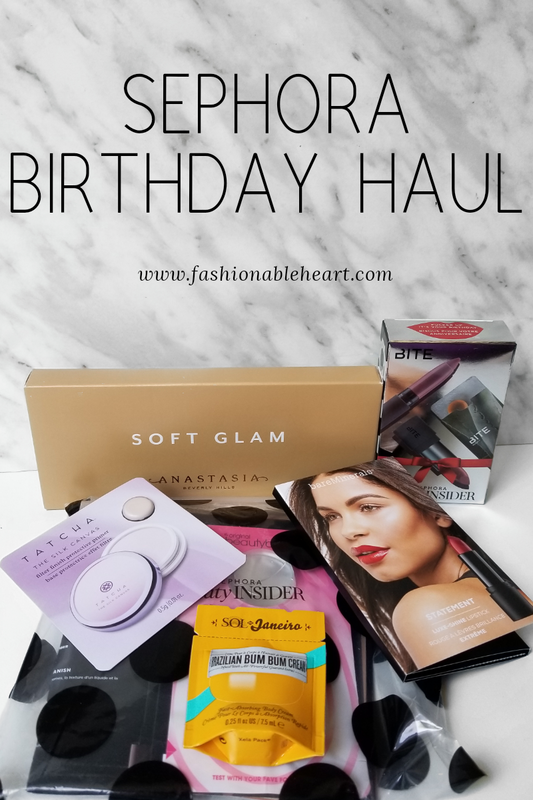 This year's birthday freebies are between a Bite Beauty set, GlamGlow duo, or Bumble and Bumble hair set (online only). 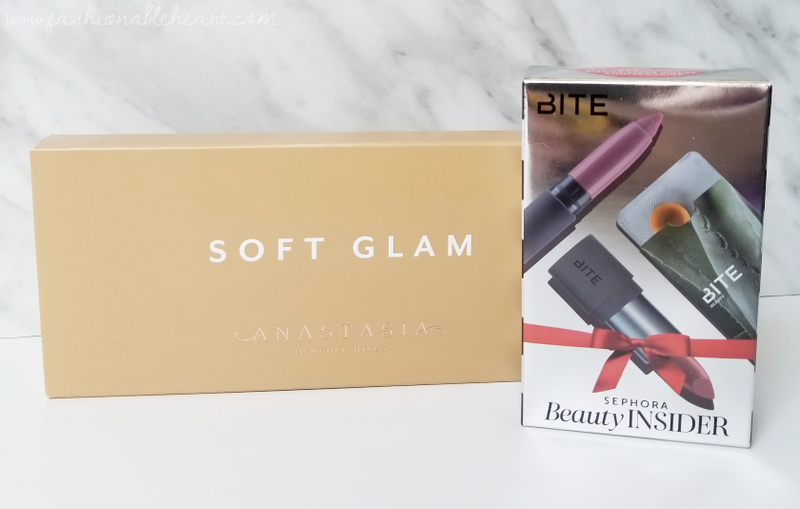 I love Bite Beauty and couldn't pass that one up. You get two mini lipsticks and samples of their Agave lip balm and sugar lip scrub. Such a perfect little set! Again, thoughts and swatches are coming! If your birthday has passed already, which set did you choose? So there's my little birthday splurge from Sephora!